A design for powder room in a private house. 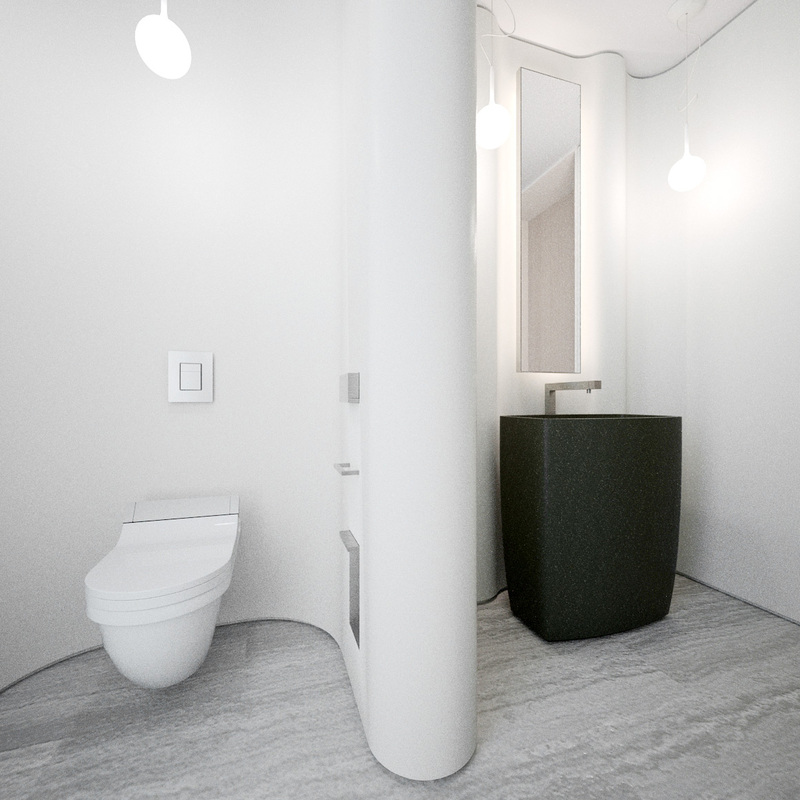 Separate alcoves are created with a rippling corian wall. This wall curves round to reflect indirect light from a full height slot window, hidden from the occupant’s line of site. 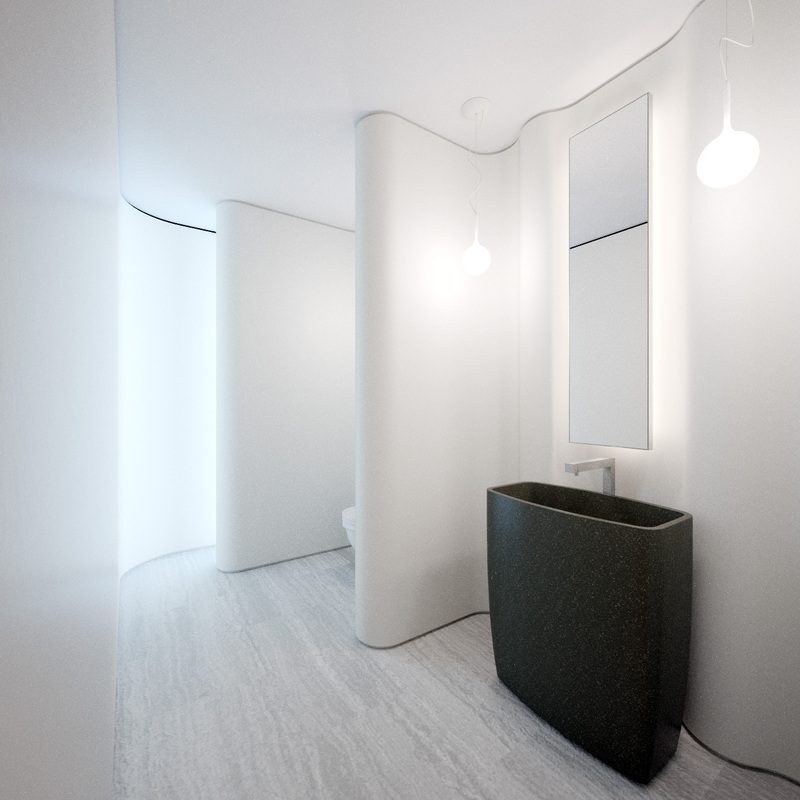 A freestanding basin, floating mirror and hanging lights allow the rippling wall to flow behind without interruption. The floor is laid with a light vein-cut marble.